Reflections for Oceans Day 2014. 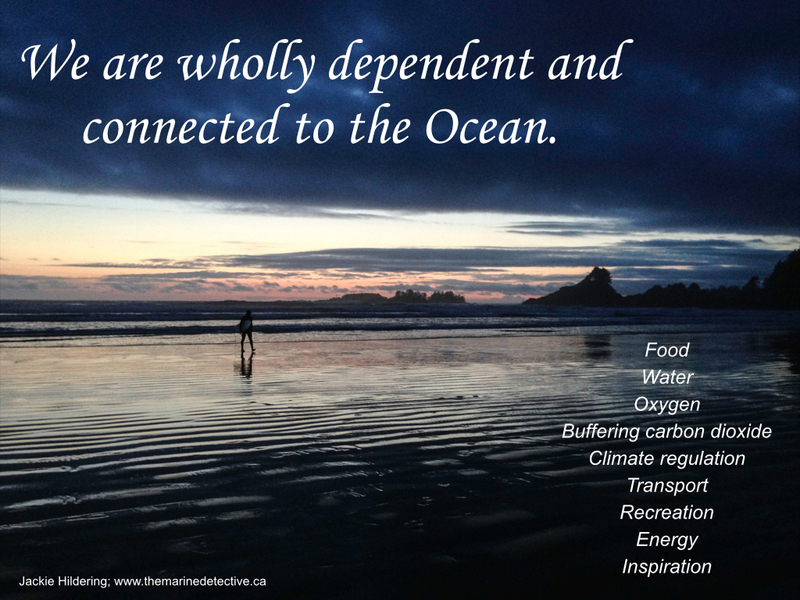 We are wholly dependent and connected to the Ocean. Life on land cannot survive without the Ocean. It is life in the Ocean that will testify to magnitude of environmental problems first. Change is needed; and we humans have an astounding capacity to make a positive difference. The majority of messaging we get is controlled by those with power in the current paradigm not wanting us to change our value systems, and consumer and voter behaviour. The mythology that consuming more will certainly make us happier and more “successful”. And . . . . be happier. Reaching New Heights? A Sea Cucumber Mystery. That about sums it up — thank you for your wise words.